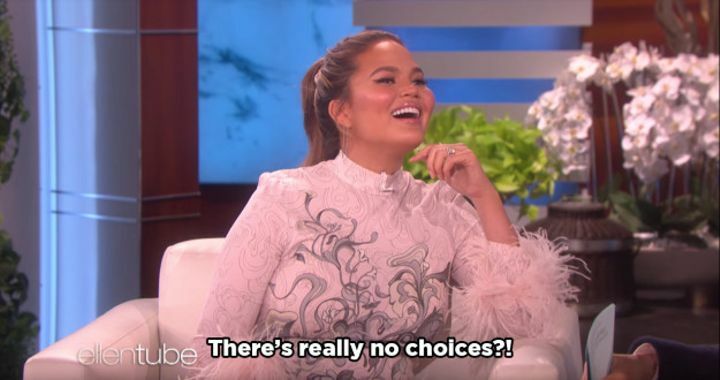 I don’t have to tell you that Chrissy Teigen and John Legend are pretty high up on the list of Celebrity Couples Who Rule Hollywood And Should Also Rule The World. 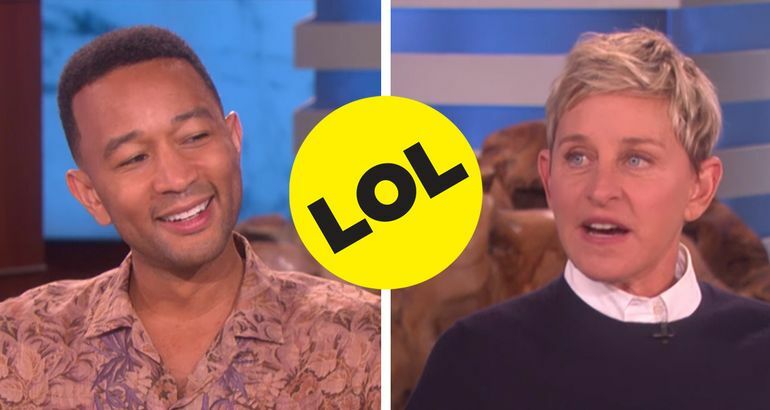 And you may remember that when Chrissy appeared on The Ellen Show a couple of months ago, Ellen put her to the test to see how many little facts she knew about John. 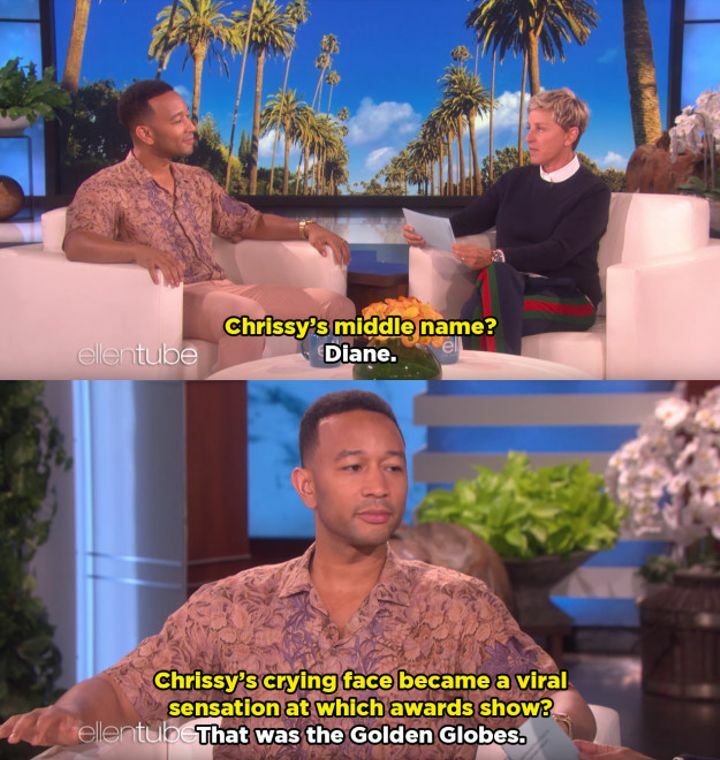 So of course, when John appeared on the show on Wednesday, it was only natural that Ellen put his Chrissy knowledge to the test in return. 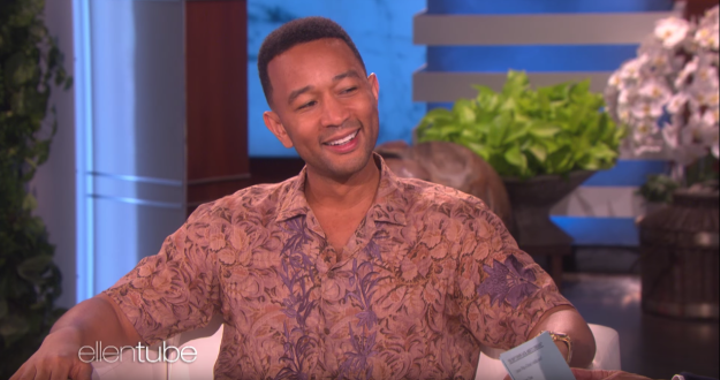 John basically nailed the whole test from the beginning. 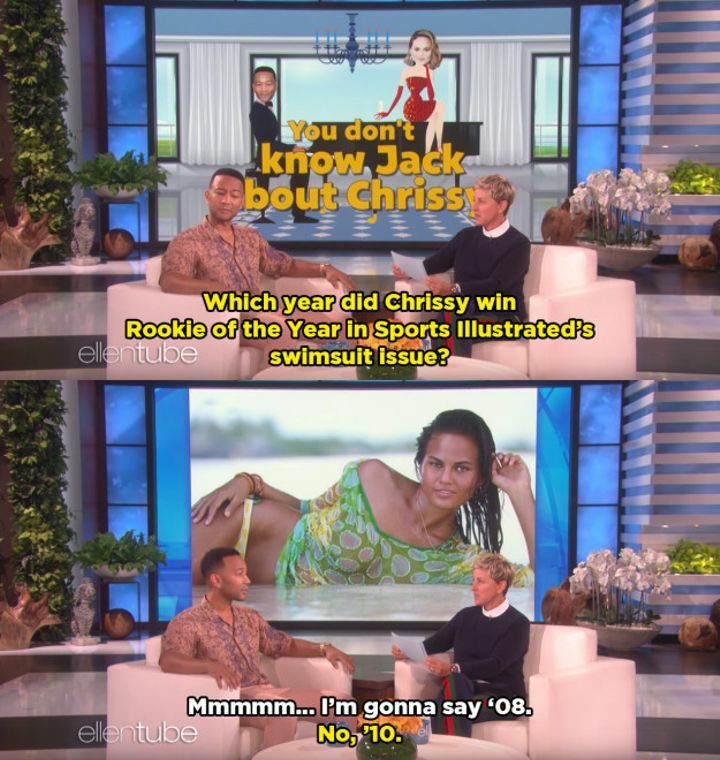 But overall, he did pretty damn well. 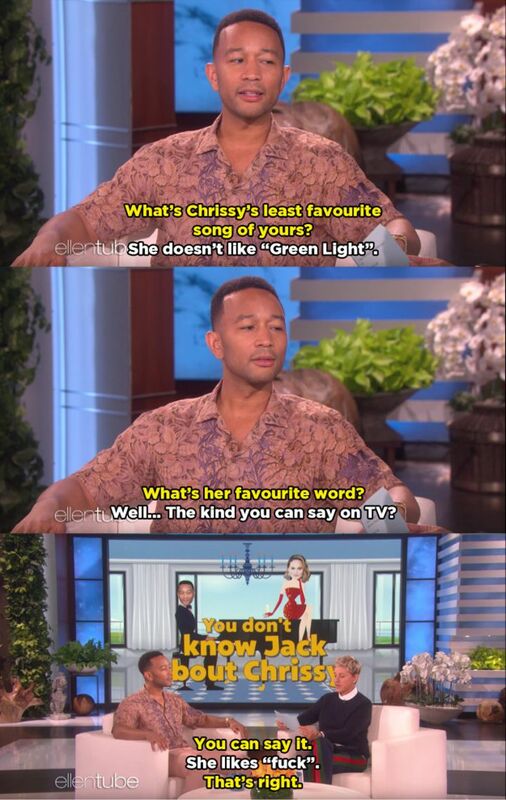 We bow down to your Chrissy knowledge, John.